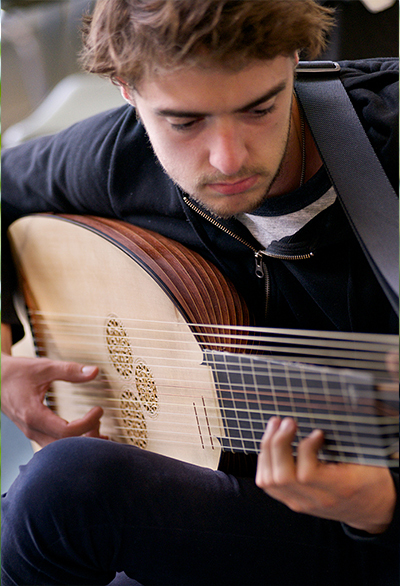 Nicholas Pollock is a Melbourne-based multi-instrumentalist specialising in early plucked strings. He regularly performs in Australia and abroad with leading Australian early music ensembles including Latitude 37, Van Diemen’s Band, e21, Accademia Arcadia, the Orchestra of the Antipodes, the Tasmanian Symphony Orchestra, and the Australian Chamber Orchestra. He co-directs Ensemble 642 with the baroque harpist Hannah Lane creating dynamic performances of music from the age of basso continuo in collaboration with the finest young Australian early music specialists.